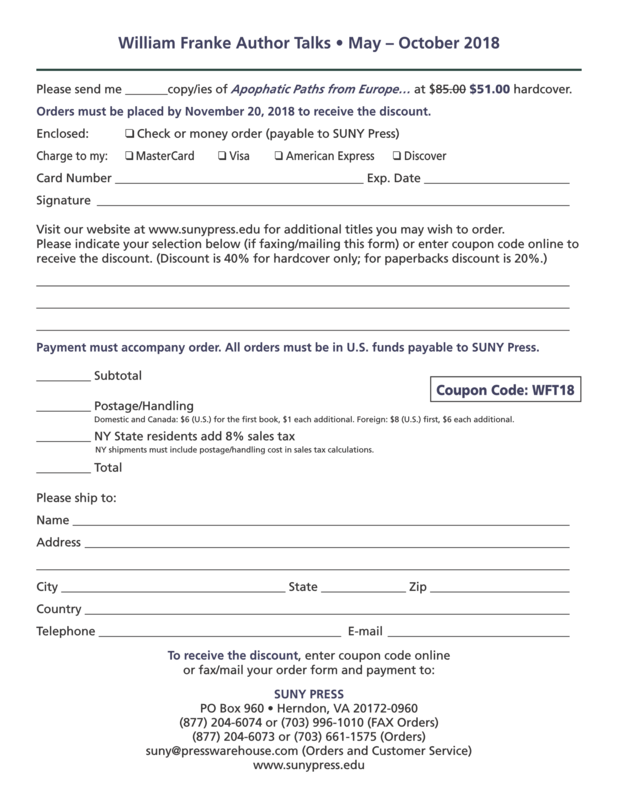 Posted by frankewp on Monday, April 2, 2018 in News. An encounter between Franke’s philosophy of the unsayable and Eastern apophatic wisdom in the domains of poetry, thought, and culture. 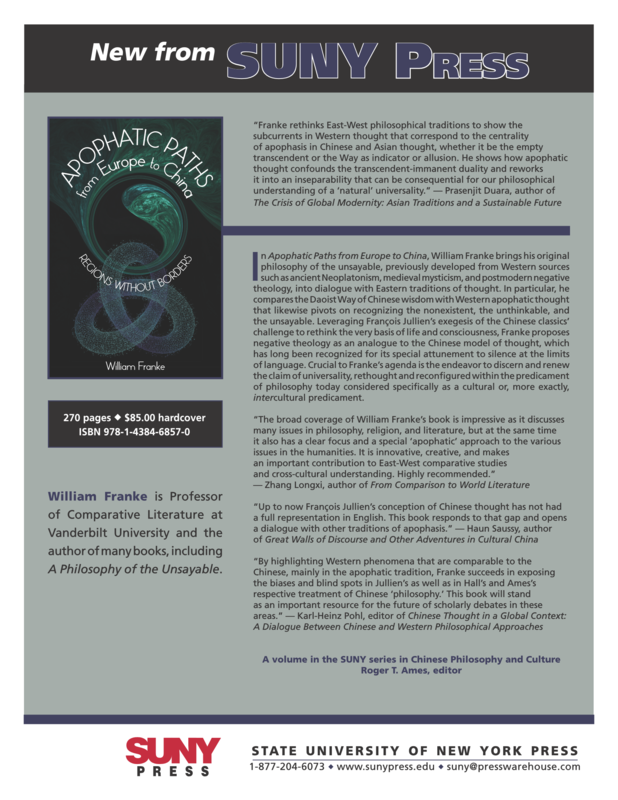 In Apophatic Paths from Europe to China, William Franke brings his original philosophy of the unsayable, previously developed from Western sources such as ancient Neoplatonism, medieval mysticism, and postmodern negative theology, into dialogue with Eastern traditions of thought. 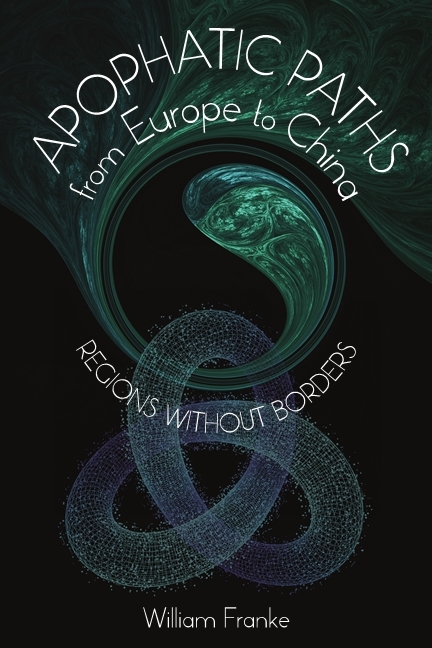 In particular, he compares the Daoist Way of Chinese wisdom with Western apophatic thought that likewise pivots on recognizing the nonexistent, the unthinkable, and the unsayable. Leveraging François Jullien’s exegesis of the Chinese classics’ challenge to rethink the very basis of life and consciousness, Franke proposes negative theology as an analogue to the Chinese model of thought, which has long been recognized for its special attunement to silence at the limits of language. Crucial to Franke’s agenda is the endeavor to discern and renew the claim of universality, rethought and reconfigured within the predicament of philosophy today considered specifically as a cultural or, more exactly, intercultural predicament.